Marrian is Louis Marineau, whose full name was Louis Desasten (Martineau). Marineau was a Canadien and worked at Fort Alexandria, and who always took out the express. Gaspard? I don’t know who he was, but he apparently worked at Kamloops post. 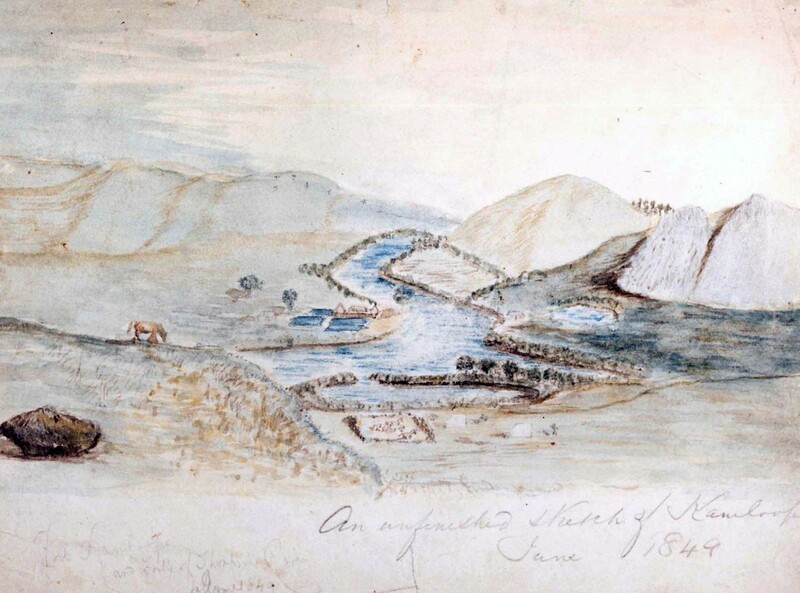 Jean Baptiste Vautrin was another Canadien found in his journals, and Fraser called him “Vantrant.” “Neckilus” was N’Kwala, after whom the Nicola Valley and Lake were named. “Courtepatte” was another Native in this territory, and I have just learned from the book Kamloops: Trading Post to Tournament Capital, by Ron Hatch, Elisabeth Duckworth, Sylvia Gropp and Shirley Bennett [Kamloops: Thompson’s River History and Heritage Society, 2012] that Courtepatte is the Secwepemc chief, Tranquille. So that mystery is solved, for me at least. [August 14, 1851] The North River chief arrived. He informed me that the Indian Capot Blanc and party had Come from Jasper House to reside amongst them. The Natives from the North Thompson River, and those from the Arrow Lakes, traveled to Jasper’s House to trade. Capot Blanc is mentioned in the York Factory Express journals as being at Boat Encampment one year. He could come from anywhere, including the Arrow Lakes. One of my readers knew who he was (and I should have). See the comments at the bottom of the blogpost. N’Kwala had come to the post for help, and Fraser wrote that he “arrived from the Grand Prarie and as usual begging for supplies. This old Man is a Compleat nusance to this Establishment.” Fraser never had a nice word to say of any one, whether white, mixed-blood, or Native. [February 20, 1852] Murdock McLeod who went to see the Cow found her wounded by arrows, done by Toppis for no cause assigned — he has not been seen today by any one about the Establishment. John Tod would have assisted them with provisions as far as he could, and Donald McLean would have, too. But Paul Fraser seemed unwilling to do that: it is hard to know how much of this is his character, or the difficulty of being able to provide provisions when they, themselves, had so little. One gets the impression that it is Fraser’s personality. There are no Kamloops journals between May 17, 1852 and September 1, 1854. On Monday, October 2nd, Fraser noted that “The Indian Curbo off to the Upper Lake.” The Upper Lake seems to be Adam’s Lake, north of Little Shuswap Lake. [November 19, 1854] An Indian also arrived from the Upper Lake who reports that Adam with his followers will visit the Establishment in 10 days. Now, I am very interested in identifying the man, below. The trail he is exploring is probably a different trail than any of you will consider, and I am not telling you how it was supposed to lead the brigades to Fort Langley. It was partially built, but never used. Saw Spintlum, chief of the Forks. Made him a present and gave him a charge concerning the treatment of miners visiting his country. Reported to be a treacherous Indian, but it is prudent to pursue a conciliatory policy at present. Where is the grand prairie? Is that local or a reference to a place in the peace river area? Ha! Hi Walter. No its that big grassy valley where the Salmon River runs, between Monte Lake and top end of Okanagan Lake. Westwold and Falkland (though I hear Falkland doesn’t consider itself part of the Grand Prairie). Hi Nancy, Regarding “Capot Blanc”. 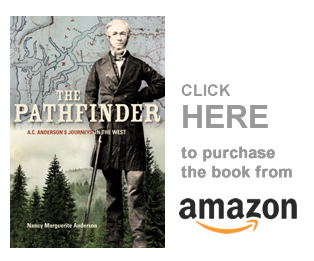 Besides the HBC Journals there is a reference to him, or possibly his son in the Kamloops HBC Account books of 1863-64, Paul Kane’s book “Travels of a Wandering Artist” in 1846-47, and Dr. Hectors account of his part in the Palliser Expedition of 1857-57. Also in the Anderson map of 1867, there is a very faint text marking Capot Blanc’s winter home at the south end of Cranberry Lake, as well as a trail he used to get to the East end of Lac d’ Original (Moose Lake). There was a NWC post at Lac d’Original around 1810 that was in existence for 3 yrs or so. How embarrassing. I have the scan of Anderson’s 1867 map on my wall and I didn’t know that was there! And it was (though hard to read on the scan)! Thank you for that information, and other info you have given. I can see how he comes down to North Thompson River, and how he also spends time at Boat Encampment. That is his territory! This is delightful, Thank you. My pleasure. I have been researching his name for a couple of years. As First Nations family names have been arbitrarily changed over the course of years, these records are of real value in getting family histories correct. I look forward to reading more of your research. I am blogging next on *nicknames. * The voyageurs were famous for them. They gave nicknames to everyone and everything, including the Natives.